Each year, automakers provide car shoppers with new and improved models that will upgrade performance, technology and style at every turn. Families who have come to love the Mazda CX-3 subcompact crossover may have a decision to make with the debut of the updated 2019 Mazda CX-3. Learn more about the updates to the Mazda CX-3 design with this 2019 Mazda CX-3 vs 2018 Mazda CX-3 comparison. 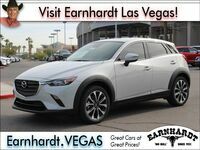 Drivers who choose the 2019 Mazda CX-3 at Earnhardt Mazda Las Vegas will discover a head-turning style that features a bold grille design, an updated cabin that provides a quieter ride, a more luxurious feel, redesigned front seats and a reconfigured center console with the addition of a space-saving electronic parking brake. Mazda CX-3 crossovers are available in three trim levels – Sport, Touring and Grand Touring – that each provides 12.4 cubic feet of cargo space behind the second-row seats. What Are the Differences Between the 2019 Mazda CX-3 and 2018 Mazda CX-3? 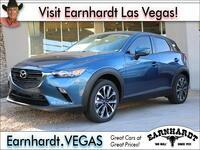 No matter which Mazda CX-3 model year you choose in this 2019 Mazda CX-3 vs 2018 Mazda CX-3 comparison – you cannot go wrong at Earnhardt Mazda Las Vegas. With an updated design, improved safety and an upgraded powertrain, the 2019 Mazda CX-3 features a slightly higher price tag that will start at $20,390. A starting price of just $20,110 and a veritable smorgasbord of standard features will make the 2018 Mazda CX-3 a great addition to your family. Unrivaled value is a highlight of the Mazda CX-3 design that starts with a standard 7-inch MAZDA CONNECT™ touchscreen infotainment system with one-touch access to Bluetooth. Highlights of the Mazda CX-3 spec sheet include 16-inch alloy wheels, power accessories, push-button start, a rearview camera and Smart City Brake Support. Upgrades include 18-inch wheels, a BOSE® seven-speaker sound system and premium leather upholstery. Families who wait for the arrival of the 2019 Mazda CX-3 will enjoy updated safety technology with a standard Direct Tire Pressure Monitoring System and Blind-Spot Monitoring with Rear Cross-Traffic Alert – features not available to current models. A Mazda CX-3 Sport i-ACTIVSENSE® Package will add Mazda Radar Cruise Control with Stop and Go, Smart Brake Support, Advanced Smart City Brake Support, Lane Departure Warning, High Beam Control, an Active Driving Display and an Adaptive Front-Lighting System. Under the hood, the 2019 Mazda CX-3 employs a refined 148-horsepower 2.0-liter SKYACTIV®-G four-cylinder engine that features standard G-Vectoring Control to enhance handling. Paired with a six-speed SKYACTIV®-Drive automatic transmission, the front-wheel drive Mazda CX-3 will earn 29 mpg in the city and 34 mpg on the highway. When you add i-ACTIV AWD®, the Mazda CX-3 will make 27 mpg in the city and 32 mpg on the highway.